We’re pretty sure that every car guy is excited about the North American International Auto Show this year in Detroit. There are around 45 experimental concept cars and new production vehicles which will be featured. In this blog you’ll see our choices of best sedans launched at the show. Here are our 5 picks! This new Mercedez- Benz E-Class sedan definitely has got something to say! With it’s new turbocharged, 2.0-litre four cylinder petrol engine with 241 horsepower, we’re pretty sure that this ride is so worth driving especially for those who love fast cars! This car is so awesome that the driver can control the infotainment system with smartphone-like swipes of a finger. Also, have you ever heard of a car which can change lanes by itself? This car has semi-autonomous driving capabilities! You would feel at ease as this car would maintain a safe distance from the other car in front of you. Talk about a luxurious ride, this new flagship vehicle of Lincoln has features for interior comforts, among which are the new 30-way adjustable front seats, the climate control and massaging rear seats. It is designed to give the most discerning customers an elegant, effortlessly powerful, full-sized sedan that can provide the quiet luxury. This car also has a twin-turbocharged 3.0-liter V6 engine that can produce 400 horsepower and 400 pound-feet of torque. Oh boy, it really is powerful! This all-wheel-drive sport sedan packs 325-horsepower that comes from a 2.7-liter twin-turbo EcoBoost V6 which is also found in the F-150! Ever heard of an adaptive damping system? This system can detect potholes and can automatically adjust shocks to minimize the impact–that’s another unique feature the Fusion Sport can offer. The best feature of this car is known as the Pilot Assist software. 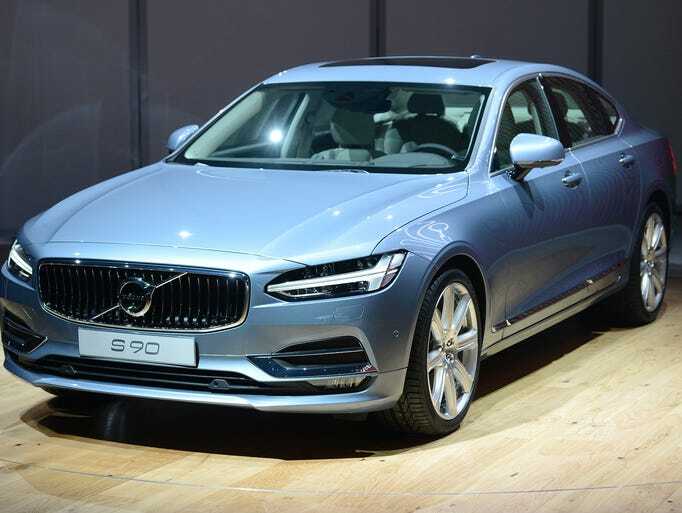 It is an intelligent driving technology which can “allow the car to accelerate, decelerate, come to a complete stop and steer on a road with clear lane markings at speeds up to 80mph.” S90 is said to challenge the Mercedez-Benz E-class and the BMW 5 Series! Do you think that Volvo is pretty serious on making a great comeback in the U.S.? This new concept car by Lexus is the “luxury fuel cell sedan of the future” said Akio Toyoda. Toyoda is the master test-driver and the chief branding officer for Lexus, the Luxury brand of Toyota. This concept car is hoped to start being produced by 2020. The goal for LF -FC, according to Toyoda, is to ” achieve a lot of zeroes: zero emissions, zero dependence on oil and zero accidents through advanced technology.” How awesome is that?